Here the male athletes (top four in each event) from District 1-6A who qualified for the Class 6A Area Championships in Wofford on April 20. Pole Vault: 1, Grant Levesque, Coronado, 13-6; 2, Daniel Larios, Coronado, 12-6; 3, Matthew Sanchez, Coronado, 12-6; 4, Armando Villa, Americas, 12-6. Long jump: 1, Zacarias Velasquez, Franklin, 21-11; 2, Angel Jurado, Franklin, 20-4.5; 3, Elijah Davis, Pebble Hills, 19-11.75; 4, Devyn Clark, Franklin, 19-8.75. Triple jump: 1, Gabriel Stonewall, Franklin, 45-9; 2, Kamuel Sloan, Franklin, 44-7; 3, Julian Hinojos, Americas, 43-10; 4, Mario Gould, Franklin, 42-4. Discus: 1, Devean Deal, Pebble Hills, 152-10; 2, Misael Ortiz, Socorro, 148-5; 3, Johnny Cerros, Franklin, 145; 4, Andrew Bristol, Franklin, 141-10. Shot put: 1, Misael Ortiz, Socorro, 51-3.5; 2, Jonathan Lopez, Montwood, 50-5; 3, Dominique Varela, Coronado, 47-7; 4, Nick Kim, Americas, 46-4. 100 meters: 1, Oscar Lozano, Franklin, 10.87; 2, Caleb Gerber, Pebble Hills, 11.04; 3, Chris Ramos, Montwood, 11.23; 4, Aaron Dumas, Americas, 11.46. 400 meters: 1, Omajuwa Etiwe, Franklin, 48.21; 2, Julian Hinojos, Americas, 49.40; 3, Abel Cervantes, Americas, 49.98; 4, Ian Tharp, Franklin, 50.06. 800 meters: 1, Liam Walsh, Coronado, 1:54.97; 2, Alan Alba, Coronado, 1:55.60; 3, Matthew Lindsey, Montwood, 1:55.66; 4, Jacob Ye, Americas, 1:55.97. 1600 meters: 1, Liam Walsh, Coronado, 4:26.42; 2, Alan Alba, Coronado, 4:26.55; 3, Jacob Ye, Americas, 4:26.61; 4, Tyler Rodriguez, Americas, 4:27.03. 3200 meters: 1, Nick Gonzalez, Coronado, 9:42.54; 2, Christian Parra, Socorro, 9:50.83; 3, Tyler Rodriguez, Americas, 9:52.29; 4, Jacobo Wedemeyer, Franklin, 9:52.57. 110 hurdles: 1,Grant Levesque, Coronado, 15.13; 2, Caleb Stewart, Americas, 15.43; Joshua Massaquoi, Franklin, 15.49; 4, Chris Martinez, Franklin, 15.51. 300 hurdles: 1, Vince Armendariz, Americas, 40.09; 2, Chris Martinez, Franklin, 40.83; 3, Izak Jimenez, Montwood, 41.70; 4, Joshua Massaquoi, Franklin, 41.84. 400 meter relay: 1, Montwood (Chris Ramos, David Niebla, Carlos Cisneros, Ryan Rodriguez), 43.36; 2, Franklin (Devyn Clark, Angel Jurado, Jorge Beard, Oscar Lozano), 43.62; 3, Americas (Armando Villa, Zakelzadrick Hobbs, Aaron Dumas, Alfredo De La Torre), 43.73; 4, Pebble Hills, (Caleb Gerber, Isaiah Davis, Sebastian Ochoa, James Hadnot), 44.41. 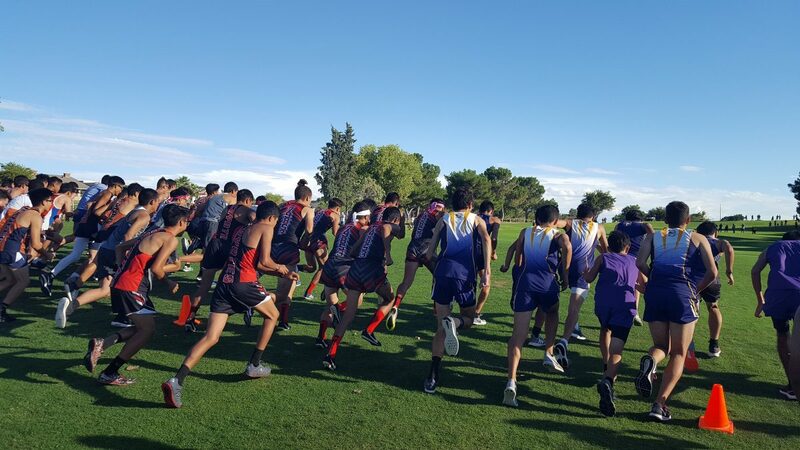 800 meter relay: 1, Franklin (Chris Martinez, Angel Jurado, Joshua Massaquoi, Ian Tharp), 1:29.04; 2, Americas (Armando Villa, Ryan Acosta, Zakelzadrick Hobbs, Alfredo De La Torre), 1:29.69; 3, Pebble Hills, (Ian Edward, Jalen Partida, Sebastian Ochoa, Caleb Gerber),1:31.15; 4, Montwood (Ryan Rodriguez, Carlos Cisneros, Brandon Williams, David Niebla), 1:32.24. 1600 meter relay: 1, Americas (Ryan Acosta, Julian Hinojos, Armando Villa, Abel Cervantes), 3:21.40; 2, Franklin (Omajuwa Etiwe, Fernando Morales, Jakob Rangel, Ian Tharp), 3:21.90; 3, Montwood (Brandon Williams, Matthew Lindsey, Max Ayala, Chris Rodriguez), 3:28.88; 4, Coronado (Malcomb Lyn, Andre Corral, Liam Walsh, Alan Alba), 3:30.54.